The Portfolio Committee on Water and Sanitation carried on with a discussion that had begun the previous day, by engaging with officials of the Department of Water and Sanitation (DWS) and delegations from catchment management agencies and water boards on their budgets and business plans for the 2014/15 to 2016/17 fiscal years. The failure of a certain agency to attend the meeting was sharply criticised by the Chairperson. The Inkomati-Usutu Catchment Management Agency (CMA) expressed its focus on tackling pollution-related issues, as well as on promoting an active international stance. The Breede-Gouritz CMA emphasised its tight relationship with stakeholders, and empowerment through water redistribution to previously disadvantaged communities. The Magalies Water CMA highlighted the importance of its blueprint in terms of bulk water infrastructure, as well as the core role played by its academic branch. Mhlathuze Water CMA detailed its close alignment to the National Development Plan’s themes and its striving for sustainability, notably in terms of energy sufficiency. The Rand Water CMA described the large population that benefited from its water-related service delivery, while it acknowledged the potential challenge to its financial stability that it would face in the medium to long term. All of these CMAs proudly claimed unqualified audits, and received the support of the Department via the Deputy Minister and the Deputy Director General’s intervention. The latter also highlighted the failure of numerous municipalities to pay the entities on time. Members directed questions about the municipalities’ debt, and asked about the emphasis placed on black empowerment, the threat of pollution to dam water, the process of job creation and its degree of inclusivity, notably in terms of gender. Entities were able to reply to these questions extensively. The delays accumulated in the first half of the meeting compelled the Water Boards to shorten their presentations during the afternoon session. The Sedibeng Water Board emphasised its expansion in the Limpopo province, as well as its economic approach to resource management. The Amatola Water Board’s presentation referred primarily to the improvement of the entity’s public image and the core importance of its plant updating programmes. The Bloemwater Board highlighted its strength resulting from its close cooperation with municipalities and high levels of board attendance. However, it also faced issues linked to vandalism and the costly implementation of its bucket eradication programme. The Lepelle Water Board described its struggle to recover funds owed by municipalities. It emphasised its support for black empowerment and societal responsibility through various programmes, however. The Umgeni Water Board’s presentation emphasised the challenges resulting from environmental conditions, notably climate changes, while it described the importance of rural development at the core of its programme, to the detriment of the entity’s profitability. The Overberg CMA presented its planning late, as its COO had not been on time for the initial presentation. He highlighted the transitional nature of the entity, which was being developed across various expanding programmes. Few Members directed questions after these presentations. The rare enquries focused on cases of vandalism and more importantly, on the overpricing of toilets by the Bloemwater Board. The issues linked to the bucket-eradication programme were pinpointed as needing to be analysed in greater detail. Ms Pamela Tshwete, Deputy Minister (DM), Department of Water and Sanitation (DWS), indicated that the current xenophobic crisis had detained the Minister, who would not be able to attend the meeting. She formally introduced the Deputy Director-General (DDG), Mr Anil Singh, before inviting all officials to introduce themselves and their organisations. Ensuring efficient management of the Inkomati-Usuthu Catchment Management Agency’s (IUCMA) resources. Some of the core Annual Performance Plan (APP) spending focuses included expenditure aiming to prevent and remedy water resource pollution, water quality monitoring, the validation and verification of existing lawful water use, a renewed focus on river operations, as well as the billing of water users, and stakeholder participation. Among core performance indicators were the number of inspections and percentage of notices and directives issued to non-compliant users, the number of samples taken per annum to monitor water quality, the percentage of pollution incidents attended to, and the percentage of temporary transfer applications received and finalised. With regard to the assessment of river operations, the CMA relied on the number of Decision Support Systems (DSS) developed for sub-catchment river operations, as well as on the number of river data loggers maintained, and on river health status reports for Komati sub-catchments. The IUCMA also evaluated its performance by appraising its input at national and international forums. The percentage of institutions’ instrumental advisory services was also referred to as a performance indicator of cooperative governance. Dr Ababio detailed an exhaustive list of performance indicators, such as the number of water quality reports disseminated, and numerous percentage indexes: of compliance with audit recommendations, of internal bursaries, of vacant posts filled, of grievances and disciplinary cases handled according to policy. Finally, the actual expenditure on Broad Based Black Economic Empowerment (BBBEE) suppliers and services providers was listed, and it was emphasised that the great majority of these indicators underpinned a great focus on historically disadvantaged individuals. With regard to indicators bearing an international dimension, IUCMA was performing particularly well for it had provided sustainable advice to neighbouring Swaziland and Mozambique, and engaged in partnerships with them, as well as with the Netherlands. Dr Ababio described how 60% of the IUCMA’s budget was allocated to employee-related costs and 34% to goods and services. Each remaining sector of expenditure was allocated 2% of the budget -- repairs and maintenance, capital outlay and board related costs. IUMCA was a knowledge-based organisation, which did not generate important profit, the latter being circumscribed by water use costs. The organisation was in a growing phase, and this justified the increase in staff-based costs for this year and the following years. Maintenance was, on the other hand, a constant process, which did not require any major change in its budget allocation. The Board had agreed to decrease the budget allocated to its structure and related costs. With regard to job creation, Dr Ababio said that the organisation had recruited 15 individuals in the past financial year, and was seeking to recruit more staff by currently advertising its vacancies. Mr Neil Hamman, Chairperson of the board, Breede-Gouritz CMA (BGCMA), assured Members that the document submitted was aligned with the National Development Plan (NDP), and said that the organisation was ensuring the quality and the quantity of its output, notably by working in close collaboration with the Department. The entity’s audit had been unqualified. It had hosted foreign delegations and demonstrated to them the efficiency of this CMA, even in situations of scarce water. Mr Phakamani Buthelezi CEO at BGCMA, reminded Members that the organisation was only located 105km away from Cape Town where the meeting was taking place, and thus invited them to visit the infrastructures in place. The organisation was growing significantly, particularly since last year, which meant it had expanded its structure. He highlighted water resource planning, water use management, water allocation reform, information systems and management and governance as core goals of the organisation. The achievement of these objectives ought to be assessed on the basis of several performance indicators, such as the water resource planning, which implied the completion of two water quality objective reports, 100% of land use planning and rezoning applications being commented on, and 50% completion of its catchment management strategy. The second performance indicator focused on water use management, with goals of 70% of water registrations and 80% of authorisations finalised, and 100% of general authorisations confirmed. It also defined an objective of 60 audit reports completed and 150 validation and verification of letters sent. Mr Buthelezi, emphasised the importance of this indicator, as it addressed issues of shortages raised recently by the media. The third indicator dealt with protection of water resources, and defined as goals for the BGCMA the implementation of two water quality monitoring projects, the monitoring of 70 water resources points, support for four river rehabilitation projects, and 100% of reported non-compliance addressed and dealt with. To achieve such indicators would be a strong sign of ensuring quality of water for the area and the country, while it would also imply the creation of short-term employment. The fourth indicator focused on relations with institutional stakeholders. BGCMA’s aim was to reach 3 000 learners during various water campaigns, as well as circulating four newsletters, supporting ten social responsibility projects and conducting 18 forums related to water. The fifth indicator stated the goals of water allocation reforms, aiming at 100% technical support for resource-poor farmers, as well as assisting at least 30 resource-poor farmers through completing financial applications for government subsidies. The importance of this indicator was that it contributed to the enhancement of transformation in every sector of society. The sixth key performance indicator assessed the development of information systems, and aimed at 100% implementation of the electronic document management systems. BGCMA indicated that to achieve this specific target, there was a need for greater funding from the Department. The seventh indicator focused on strategic support by targeting 100% of all financial prescripts reported and audit recommendations complied with. It additionally targeted 90% of approved posts occupied, as well as the development of one internal and one external audit strategy. The CEO indicated that this specific category would address issues linked to fracking. It would also ensure that every employee had a personal development plan. The eighth and last category dealt with performance linked to management and governance, and designated the submission of one corporate compliance report, the establishment of two new partnerships, the development of four social responsibility initiatives, and total compliance with non-financial reporting prescripts. Addressing the entity’s budget, Mr Buthelizi pointed out a decrease of 22% in the budget allocated to repairs and maintenance, while costs related to employees were on the rise by 31%. Overall, the total budget had increased by 16%, from R40.8m in 2014/15, to R47.4m in 2015/16. Mr Mboniseni Dlamini, CEO at the Magalies Water CMA (MWCMA), said that the APPs presented were currently at the draft phase, and would still be undergoing normal approval processes. He described the five main objectives of the organisation, and primarily the necessity to provide sustainable bulk water services to bulk customers, as well as to ensure business growth. MWCMA’s core objective was also to contribute to an affordable tariff by managing production costs, notably by developing business efficiency and contributing to the conservation of the natural environment. The two remaining objectives were to strive to improve the competency levels of staff and staff retention, as well as contribute to the government’s transformation and empowerment trajectory. Key indicators included 100% compliance with the scheduled maintenance plan, with the bulk supply agreement scorecards, and with the stakeholder engagement plan milestones, and the expansion of infrastructure to grow the business. Additional indicators included the number of debtor and creditor days, targeting 50 and 30 days respectively. The target with regard to the Auditor General of South Africa (AGSA) remained to achieve an unqualified audit. He highlighted the implementation of empowerment projects as an indicator, with a target of four empowerment projects -- internal bursaries, external bursaries, wellness programmes and corporate social investment activities. The final indicators pinpointed by MWCMA’s CEO were linked to job creation, with an objective of 500 individuals employed through the capital expansion programmes, as well as support to emerging black-owned companies, with a target of 25% of sub-contracted projects allocated to such companies. Mr Dlamini concluded his description of performance indicators by emphasising the importance of growth for the organisation, notably financially, in order to enhance the bulk water infrastructure and hence the entity’s blueprint. He reminded Members of the importance of increasing water service delivery while ensuring financial sustainability. An emphasis would also be placed on the importance of retaining staff members, ultimately benefiting the organisation and contributing to transformation. Mr Dlamini emphasised the importance of establishing a customer contact centre, strengthening the organisation’s accountability and capacity for communication with communities. He also stated that the human resources (HR) programmes would be revisited, notably in order to enhance learning programmes. Finally, on the BBBEE objective of allocating 50% of the capital expenditure, he argued that this was to be understood as a minimal requirement, while the organisation would strive to advance beyond this stated target. Ms Audrey Raphela, General Manager: Finance: MWCMA, reminded the Committee that the budget was currently being presented in its draft form, and that the numbers presented would potentially be subject to change before the entity’s final budget release. The budget accurately matched the strategic objectives detailed previously by the CEO. Major trends which affected the crafting of the APP’s budget included a decrease in chemical prices, the inflation of transport costs and the rise in electricity tariffs due to ESKOM’s recent policy shift. An increase in staff remuneration had to be attributed to the growth of employees’ numbers. The cumulated total of projected expenditure, which included each plant of the MWCMA, was R1 012.6m. This was expected to increase during the financial year of 2016/17 before decreasing again. She finally explained the need for the organisation to use reserve funds in order to pursue new development plans and programmes, therefore decreasing the entity’s total profit. Mr Sibusiso Makhanya, CEO: Mhlatuze Water CMA (MWCMA) said that the entity had not been able to fit targets into the presentation, because of its constraining format. He also apologised for the font used in the document presented, as its minuscule size prevented Members from reading a certain part of the presentation. He then detailed some of the core strategic objectives of the entity, beginning with the aim of growing, expanding and optimising the provision of water services to best meet stakeholders and customers expectations. Such a goal ought to rely on the ensuring of infrastructure quality in order to meet current and future demand, as well as to match water quality targets. The second strategic objective focused on the long term financial viability and sustainability of the organisation, and relied on the improved costing of secondary activities, unqualified audits, an ensured positive cash flow and the meeting of projected revenue growth targets. Mr Makhanya described the third objective as bearing a specific focus on relationships with stakeholders, along a pattern of adding value for the mutual benefit of all. The maintenance and improving of BBBEE profiles appeared as one of the key activities of this section. The fourth strategic objective underlined the enhancement of the organisation’s skills and competence to deliver strategic intents. It assumed a main sub-goal of extensive job creation while it ought to rely on Research and Development strategies. Mr Makhanya realised that the fifth strategic objective was not in the document, and he apologised to the Committee in this regard. This missing information addressed the improvement of systems of governance. The last objective promoted a proactive attitude of the entity and its officials on issues related to environmental compliance and stewardship. The indicators included in the strategic objectives were assessed on a quarterly basis. He gave details of the entity’s budget for 2014/15 and the next five years. Total capital expenditure for 2016 was of R134.87m, and included a major expenditure on improvements and refurbishments for each plant, as most of the infrastructure was old. The two major externally-funded projects of the entity -- the Jozini/Ingwavuma bulk supply project and the Dukuduku Resettlement project -- had seen their budgets shrink from R360 million to R290 million, and from R32 million to R15 million respectively, from the current year to the coming financial year. The CEO once again apologised for the lack of details on an additional externally-funded project, the Habisa bulk water supply, which were missing from the present report. Between the financial years 2014/15 and 2015/16, the entity projected to create 121 new jobs in the Jozini/Ingwavuma project, while the Habisa bulk water supply programme would see its staff shrink from 115 to zero. Mr Sipho Mosai, Chief Operating Officer (COO): Rand Water CMA (RWCMA) said the priority areas targeted by the entity included the quality and quantity of raw water, growth initiatives and the Rand Water Academy, as well as presidential outcomes, organisational preparedness and bulk sanitation. These points of focus contributed to the overarching theme of rural development, which would occur through substantial partnerships with municipalities. In terms of the entity’s impact, the COO described how RWCMA had spread to the whole of the Mpumalanga province, as well as additional municipalities in Gauteng, Limpopo, North West and the Northern Free State. This significant expansion had enabled it to cover the water needs for an additional four to seven million people. Such an expansion brought the population covered by the organisation to a total of 16 to 19 million. The diversity of provinces covered explained the difficulty in calculating the population covered by the RWCMA with great accuracy. With regard to its rural development strategy, Mr Mosai praised the entity’s response to, and incorporation of, ministerial directives. The Department had identified 27 district municipalities for rural water development, and the RWCMA was currently assisting at least seven of these rural municipalities by increasing access to water services. The entity’s performance assessments relied on certain core criteria, or so-called ‘pillars’. Mr Mosai described the first of these pillars as the high performance culture and constant striving to achieve growth. The triple bottom line was highlighted as the second pillar, for it relied on the trinity of social, environmental and economic solutions. The third core of performance assessment was linked to presidential outcomes, and aimed at improving cooperation with local levels of governance mainly through an enhanced workforce, in order to provide a healthier life to all South Africans. The last pillar was the so-called shareholder compact, which in practice aimed at providing an institutional realignment, significantly enhancing water demand management. The entity aimed at a high compliance with South African National Standards (SANS) Class 1, maintaining the achievements of the year 2014, which had ranged between 99% and 100%. Another major target was an unqualified audit report, as well as a significant rate of board members’ attendance, where 80% or above was aimed for. The percentage of variance for projects’ expenditure and periods against targets aimed at, remained below 5%. The targets described in the presentation still needed to be approved by the Board before finally being included in the APP. The four-year plan initiated in 2014 aimed at creating 21 801 jobs up until 2018. These opportunities would take place though the employment of staff by the RWCMA contractors, the temporary as well as permanent staff hired by the RWCMA, and finally the training provided by the Rand Water Academy. Ms Matshidiso Nyembe, CFO: RWCMA, said that revenue growth would be primarily driven by a tariff increase of 13.5%, implemented from 1 July 2015. This had had to be reviewed to 16% as a result of ESKOM’s revised 25.3% tariff increase. The market in which the RWCMA was currently operating was relatively unstable, and many unforeseen movements had been witnessed in the recent months. In terms of the organisation’s five-year capital expenditure (capex) budget, the year 2016 would see expenditure reach a total of R3, 773 billion. Total capex was nearly R25 billion for the full five year period from 2016 up to 2020, however, and included R18 billion worth of growth projects, of which 15% would be allocated to pumping, 21% to the purification sector and 45% to pipelines. Such expenditure ought to be partially sustained by the entity’s external borrowing, but this model was expected to reach its limit in 2018, when the organisation would face a deficit. Mr Singh concluded the different entities’ presentations, by expressing the Department’s support of these organisations. Deputy Minister Tshwete added that the vast majority of the entities were facing challenges from municipalities, which were often holding back payments, creating hindering shortages and imbalances for the different management agencies. These failures from municipalities corresponded to nearly R21 billion by the end of February 2015. She appealed to Members of the Committee to support the entities and ensure that the municipalities involved in irregular funding would pay the boards what they owed them. She also reprimanded Mhlathuze Water for its use of a small font, which had seriously hampered Member’s appraisal of the presentation. The Chairperson said that these drafts, presented as preliminary, were enhancing the relevance of the APP’s, while the current interaction with the Committee and the Department would contribute to sharpening the entities’ planning. He addressed the Magalies entity by criticising its definition of certain targets at a rate of 100%. He asked whether such objectives were informed by experience, and whether or not they seemed achievable in reality. In a broader perspective, he directed questions towards the different delegations, stating that while some of them were absent, others had come with too few or too many appropriate officials. He urged the DWS’s organisations to have internal discussions to allocate the right officials in the right quantity to each delegation. He reminded Members and the Department’s representatives of the importance of constantly promoting black business and of striving to achieve greater transformation. As an example underlying the importance of such change, he pointed out that there was currently not a single black-owned company in South Africa which manufactured pipes, or the chemicals required by the water purification processes. He therefore urged Department managers to instigate the development of such programmes, moving forward along the legislative system which was in place. The Chairperson renewed his focus on the MWCMA, and criticised the low target of sub-contracting 25% of its total capital projects awarded to black emerging companies. He moreover stressed that each entity’s objectives in this regard were different from each-other, highlighting a lack of consistency from the DWS’s entities as a whole. Ms J M Maluleke (ANC), raised concern over the fact that municipalities’ debts towards entities could not be traced to any of the recent presentations. She asked for more details on the matter. To what extent had the Department began the process of recovering this revenue? The training identified by the entities did not seem to provide any skill with regard to debt collection, although this appeared to be one of the key challenges faced by the institutions. She thus urged DWS’s organisations to incorporate within their training programme a greater focus on municipalities’ support, enabling them to allocate and deliver the appropriate funding to these agencies. Ms Malukele then addressed the MWCMA and asked to what extent its job creation business support processes were assisting black companies. She then shifted her focus to the Rand Water Academy, and asked whether a long term plan was in place to complete people’s training, and whether trainees were eventually incorporated into the entity. She suggested in this regard the establishment of substantial partnerships with municipalities, to complete training programmes with patterns of professional inclusivity and individual support. Ms H Kekana (ANC) also asked for greater details on the current situation regarding municipalities’ debts. She said that MWCMA had defined as a target the reduction of water loss by 5%, yet it had failed to provide data on the current water loss. She urged the entity to provide the Committee with information on the loss of water at the present time. She required greater details from IUCMA on the nature of its employee-related costs, as well as on the goods and services mentioned during the entity’s presentation. Mr T Makondo (ANC) asked the Rand Water CMA for more information about the entity’s job creation process. He raised questions on the nature of these jobs, and whether they were part time or full time forms of employment. He commented that the province of Gauteng was internally facing many polluters, and asked whether Rand Water was providing the Department with help in order to issue directives on this matter, and to what extent it was doing so. He congratulated MWCMA for its presentation, stating that the entity seemed financially stable. However, one of the objectives listed in the presentation was to shrink the maximum time of water cuts to a maximum of 24 hours. He thus asked what the current maximum times of water cuts were. He asked the IUCMA about the budget allocation of 60% to staff costs, seeking more information on the staff component of spending and for detailed figures of the organisation’s number of workers. Ms T Baker (DA) said that performance indicators ought to be tightly and directly linked to objectives. The failure of certain identities to display this connection made oversight relatively difficult, whereas other organisations succeeded in this regard. She shared the Deputy Minister’s concern, and asked which municipalities were in default of payment. How was the Department and its entities considering holding these municipal governments accountable? She asked which the most polluting municipalities were, and emphasised the need to increase the current focus on dam management, as dams were subject to a great deal of pollution, which ultimately increased the cost of water. Ms Baker then highlighted the poor quality of waste water plants in place, arguing that many of them were not functioning currently. She referred in this regard to a so-called ‘Blue and Green report’ which revealed the lack of process controllers for a majority of plants. She reminded the Committee of the DWS’s primary task of delivering water to previously disadvantaged people, and criticised the majority of entities’ strategic planning for placing an excessively important emphasis on job creation which, she argued, should remain secondary in the organisations’ agenda. Mr L Basson (DA) asked MWCMA’s officials why the entity had made room in its planning for the prediction of one disabling injury which would occur during the coming year. He enquired about the number of such injuries in the current year. He reminded Rand Water officials that they had indicated during their previous meeting with the Committee that they were undertaking an investigation to identify alternatives to electricity as a core power, in order to enhance the organisation’s sustainability. The entity had then mentioned the possibility of implementing water turbines. He thus sought information on the extent to which this project had been develop, and emphasised the importance and necessity of such projects in order to decrease the agency’s dependence on ESKOM. Mr D Mnguni (ANC) said that the method used by entities to develop APPs should necessarily highlight objectives, indicators and time frames as key parameters of an entity’s development. He further emphasised the importance of dividing targets, enabling officials to assess the amount of projects which ought to be completed in a quarter. He expressed his consternation that no entity had mentioned social responsibility blueprints, and questioned the entities on the extent to which they had supported clinic, schools and the different levels of governments in their attempts to sustain service delivery. Mr Mnguni asked for more information on the organisations’ approach to the issue of pollution. He criticised Mhlathuze Water for the crucial lack of numbers and a quantitative appraisal for the indicators highlighted during its presentation. He addressed the RWCMA by asking the entity how it was planning to allocate the 1 500 jobs it sought to create, urging it to provide greater detail on the matter. He highlighted that Magalies Water’s presentation had mentioned cases of internships, and asked what the organisation’s plan was to incorporate those learners into the entity’s structure. Ms N Bilankulu (ANC) expressed her disapproval of the fact that Members received certain documents only during the meeting, hindering their capacity to raise certain questions. She strongly criticised Mhlathuze Water’s presentation format and inappropriate font. She commented on the small representation of women among the present entities’ officials, emphasising the importance of colour in this regard, and stating that black women should be given a fair chance to run these entities of the DWS. She highlighted the lack of information provided by certain organisations on people with disabilities, and the extent to which these agencies were adopting an inclusive stance. Ms Bilankulu addressed the Breeede/Gouritz presentation, and particularly its water allocation reforms which sought to assist 30 resource-poor farmers by completing financial applications for government subsidies, and resource-poor farmers being technically supported over water use. She asked what the delay to receive the subsidies was, and to what extent this reform was inclusive of women. She then focused on the MWCMA presentation and on it target of a maximum of 30 creditor days. She asked in this regard what the current period of payment was. She referred to the entity’s goal of shrinking the average water loss to 5%, and asked what this rate corresponded to. She commended the quality of the IUCMA’s presentation, yet she indicated as a shortcoming the lack of demographic data supporting job creation programmes, for it did not have any details on the gender, nationality and the disability of the workers hired by the organisation. She expressed her surprise that no entity had mentioned in its presentation the impact of climate change. She also urged the organisations to focus more efficiently on the increase in energy costs. Ms Tshwete acknowledged Members’ renewed concerns on the matter of water pollution. In this regard, the DWS was developing a so-called ‘doctor river’ programme which should begin its implementation soon, in previously designated areas. She also indicated her understanding of Members’ concerns about leaks and the broader issue of water wastage. The Department shared this perspective and was increasingly taking action over these issues. The DM then addressed Mr Mnguni on training, and said that training processes should be conditioned to a great extent by the organisation’s need. Furthermore, although entities did not have vacancies for all of its learners, it was empowering them with the skills which would ultimately enable them to get employment elsewhere, or even to create their own businesses. The entities’ incapacity to absorb all of its learners was due to their restricted budgets. However, she emphasised the importance of developing a plan to assist these students entering the labour market. She assessed certain entities’ tendency of defining targets at a rate of 100%, as slightly excessive. Mr Singh indicated that the DWS had developed tables detailing the current debt situation of the entities, which included the funds owed by the municipalities. On the matter of the disparity of agencies’ attendance, he said that the Department was trying to provide incentives for the different boards to attend these Committee meetings more rigorously. He further apologised for the late submission of certain documents, while he expressed his agreement on the need for a standard template which would necessarily enhance entities’ coordination. He suggested the development of an inter-ministerial committee to better tackle issues of pollution. With regard to training processes, he detailed the existence of partnerships with the University of South Africa (UNISA), on which a report had just been published within the Department. This report was available on request. This partnership had developed a strategy inspired from a Japanese model. Dr Ababio stated that IUCMA had already developed outreach programmes targeting issues of pollution, notably through the empowerment of schools and the development of partnerships with traditional councils. The entity’s CEO, whom he was currently replacing, was a young black woman, which meant that the agency’s board was demographically balanced. The indicators and targets displayed in the report were demand driven, and were therefore inherently subject to fluctuation. The IUCMA was a growing organisation, with a growing number of employees, thus justifying the 60% staff costs. With regard to job creation, many vacant positions were being filled, with varying contracts, which included temporary jobs. On the matter of pollution, Dr Ababio said that in the previous year 31 directives had been issued, while five criminal cases had been taken to court as part of a broad anti-pollution campaign. He conceded, however, that the directives issued bore limited efficiency, as prosecutors often struggled with investigations. Regarding social responsibility, the majority of water quality tests were performed in areas close to schools, so that if need be, the pumps installed there benefited the community and particularly its youth. Mr Gary Robbertze, Acting CFO: IUCMA, told the Committee that the high rate of 100% on certain targets had been crafted as an incentive to maximise the agency’s effort. The educational campaign targeting 3 000 students focused on the promotion of careers in the water industry, and was taking place at various schools. He argued that the presentation had divided the targets into quarterly reports, in accordance with the Members’ recommendation. With regard to gender equity and representativity, he said that more than 60% of IUCMA’ staff was composed of women. The organisation was striving to be representative of the South African population. He reminded the Committee that the agency had always received unqualified reports, and prided itself with this excellence. He expressed his agreement with the emphasis placed by Members on climate change. He stressed that IUCMA’s policy was to fund water-related activities beyond its primary scope of action. An example was one of the entity’s programmes, which trained plumbers and incorporated them into municipal structures to better address the needs of the community. With regard to pollution, he said that the entity had a strong stance on the matter. Mr Hamman described BGCMA’s approach to learning by stating that, although the entity was not able to incorporate the totality of its learners within its structure, it was nonetheless providing them with valuable skills, ultimately enhancing their chances of getting professional employment. On the matter of water loss, he asserted that the targeted rate of 5% was based on a total of 81 million kiloliters. The current ratio of loss was of 7%. He explained this wastage on the decreasing quality of infrastructure, and the dramatic lack of recycling facilities. However, the organisation was currently addressing this matter, in cooperation with the Department. With regard to the one expected injury, Mr Hamman indicated that this estimation was proportional and matched the accepted international benchmark. The promotion of black businesses was emphasised by the BGCMA, which encouraged contractors to partner with black businesses. Mr Hamman concluded by expressing his belief that the 100% ratios associated with certain targets in the presentation were achievable. Mr Dlamini said that the entity’s audit opinion had been detailed under the strategic objective 2 of the MWCMA presentation, while social outcomes were planned within the strategic objective 3. On the absence of targets in the presentation, he said that the briefing received by the entity had not specified the need to state targets. On the matter of gender equity, 55% of the organisation staff were women. With regards to pollution, he said that as the entity was located on a river which flowed into the sea, the matter was of an even greater importance. Penalties had been imposed during the year against various polluters, while the agency was currently engaged in several legal battles in this regard. 70% of the customers that the organisation was dealing with were private entities, while the rest of the bills it issued had been paid on due time. It was in the light of these facts that he claimed that the MWCMA was not facing any issue of municipal debts, contrary to most entities of the DWS. Mr Mosai said that the Rand Water Academy was a demand-driven institution, so its structure was shaped as a response to students’ needs. With regards to the RWCMA impact on labour, he asserted that the entity was developing a substantial amount of short terms contracts, notably through partnerships with municipalities. The training provided by the Academy was accurately addressing the needs of the sector, and was informed to a great extent by the needs highlighted at the municipal level of governance. Mr Mosai then responded to Members’ concerns over its social contribution, by referring to the Rand Water Foundation, which was actively involved in community-based activities and upliftment. He also referred to the social outcomes derived from the Academy, and said that RWCMA as a whole had already contributed to the renovation of clinics, the creation of old age homes and had undertaken renewed interventions in schools to raise children’s awareness on matters linked to water. On the matter of hydropower initiatives, he said that investigations ought to be completed in order to receive the Department’s approval on the project. However, the Treasury had already approved the project. The implementation of such a plan would enable the entity to save up to 10% of its energy. He emphasised the organisation’s constant seeking of innovation to decrease its dependence on ESKOM. He also mentioned that the entity was currently envisaging relying on a private power supplier. The Chairperson thanked the different entities for their constructive inputs to the discussion, and invited officials to have a brief interlude around lunch hour. The Committee meeting was temporarily adjourned. The Chairperson welcomed back Members and DWS officials, and introduced a new cycle of DWS entities’ presentations of their APPs for the year 2015/16. He indicated that the previous discussions had exceeded the normally allocated time, and thus urged officials to restrict their presentations to short periods of ten minutes. Mr Rambuluwani Takalani, CEO: Sedibeng Water Board (SWB), began his presentation by briefly detailing the entity’s strategic objectives, which were to perform an appropriate treatment of waste water and supply of potable water, to ensure its own viability and sustainability, to create an environment which was conducive to the growth and retention of skills, to implement effective and efficient communications, and to ensure compliance. In the light of these core objectives, the SWB was seeking to expand its influence to the whole of Limpopo, notably through significant partnerships with the government at the municipal, provincial and national level. Mr Takalani detailed the agency’s performance indicators -- primarily its compliance with the SANS 241 on water quality, with a target of 96% of positive reports, thus keeping the ratio for the current year constant. The reliability of water supply was additionally highlighted as key, targeting a total absence of unplanned interruptions exceeding 24 hours, matching once again the current year’s rate. The SWB proudly stressed that every single one of it audits was had been unqualified, so it was targeting stability in its financial reporting for the upcoming year. The attendance of board members was targeted at a rate of 80%, in alignment with the current year’s ratio. Mr Takalani emphasised the importance of increasing BBBEE spending, while managing the entity’s capital expenditure. CAPEX on expansion projects for 2015-16 was targeted at R60.6, compared to R159.7m in the 2014-15 financial year. Finally, on the matter of training and skills development, the agency targeted a total of 250 training courses and learnership bursaries for the upcoming financial year. Mr Takalani argued that the entity was highly economical with its resources, as part of a balanced situation, resulting in the unqualified audit. This healthy status of the organisation had enabled it to enhance its contributions to society, notably with the donation of school uniforms, as a well as a school bus. Mr Lefadi Makibinyane, CEO: Amatola Water Board (AWB), said the area of action of the entity was entirely concentrated on the Eastern Cape. The organisation had managed to improve its public image in the recent past, and had achieved BBBEE level 1 and level 2. He briefly detailed the entity’s strategic objectives, which had been crafted on the basis of a 20-year vision, and placed an emphasis on customer satisfaction, water and waste water quality, financial viability, operational optimisation and leadership and employee development. Additional strategic objectives had been developed for the five year period, through core catalytic initiatives, such as the influence and support of processes and model of a regional water utility in the province, the development of a fully integrated provincial master plan, the increase in relevance of AWB as an institution, and the completion of plant upgrade plans. He succinctly referred to performance indicators, divided along different major themes -- stakeholder and customer perspective, financial perspective, internal processes and learning and growth quadrant. These overarching categories included micro-level indicators developed on a five-year basis, along with some of the entity’s strategic objectives. Mr Makibinyane said that the entity had managed to raise R500 million from the Treasury as part of a key programme of systems improvement. Ms Unathi Mbali, Acting Finance Director: AWB focused on the budget allocation for the coming financial year. The forecast total income would increase to R393.97m. With the cost of sales amounting to just over R227m, the entity’s gross surplus would be R166.9m, or 42.3%. The AWB had created 1 546 jobs during the financial year 2014/15, comprising 1 313 men, 230 women and 3 disabled individuals. Dr Limakatso Moorosi, CEO at Bloem Water Board (BWB) said that the correspondence inviting the entity to the Committee meeting had not invited the entity’s chairperson, and the latter was hence not present among the delegation. She briefly referred to the entity’s strategic priorities, highlighting the objective of developing, operating and maintaining infrastructure to ensure sustainable water service delivery, as well as the importance of managing financial affairs to meet current and future obligations. Securing the supply and quality of raw water resources was additionally underlined as a core objective, as well as striving to achieve an aligned, effective and efficient institutional identity through optimisation of business processes and systems. The agency’s responsibility to engage in strategic partnerships with all relevant stakeholders was also pinpointed. Every strategic objective underlined in the presentation was described by the CEO as linked to ministerial outcomes and DWS goals, as included in the business plan. The Board was working in close cooperation with the Mangaung Metropolitan Municipality, as well as smaller municipalities. On the matter of challenges currently faced by the entity, she described the dangerous and large-scale phenomenon of vandalism and theft targeting the organisation’s infrastructure. She also identified climate change as a serious issue faced by the entity, and ultimately responsible for the decrease in the water levels of the region’s dams, and the current drought being experienced in certain locations. 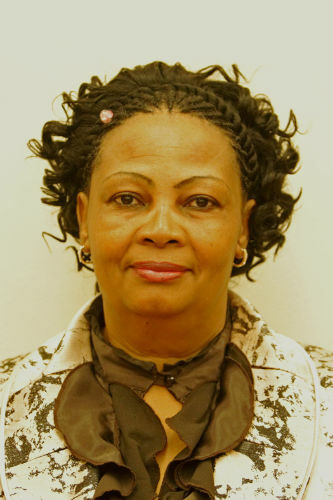 Dr Moorosi expressed her satisfaction in terms of the organisation’s staff turnover, yet she described a situation in which many staff members would retire soon, threatening the Boards’ stability. She said that certain infrastructure required greater maintenance, and criticising the lack of funding received by the Board for this. She commended the increase in BBBEE spending. The latter target had even been exceeded, due to new projects in CAPEX programmes, as well as new entrants on projects. She also referred in this regard to 16 projects resulting from DWS initiatives. She concluded by acclaiming the entity’s high level of good governance and corporate social responsibility, saying that the entity had made a real impact on schools in the area. Mr Ockert Stadler, CFO: BWB, said the entity’s CAPEX had had a great focus on the Free State bucket eradication programme. A total of 15 978 buckets had been eradicated by 31 March 2015, yet 8 246 of the toilets installed were still not flushing. The total expenditure for this project had been of R507.8m. Mr Phineas Legodi, Acting CEO: Lepelle Northen Water Board (LWB), highlighted the entity’s strategic objectives -- the provision of equitable and sustainable regional water and sanitation services, the development and maintenance of regional water and sanitation infrastructures, the ensuring of financial viability and sustainability, and the effective management of human capital. He emphasised the current year’s unqualified audit of the agency, and therefore its standardisation as a target for the upcoming year. The staff members of the entity were efficient and organised, on the basis of a high Board attendance. The entity’s financial situation had been affected by the fact that numerous municipalities had failed to pay the LWB. There had been a recent intervention from the Treasury, which ought to shortly bear fruit and ensure the payment of the money owed by municipalities. The entity was actively encouraging BBBEE companies to work together. The total capital expenditure for the coming financial year was of R335 million, and was an increase from the previous year. Every required report had been submitted on time by the entity. Mr Legodi assured the Committee that the LWB was playing a significant role in terms of social cohesion, on the basis of the integration of disabled people and material support to HIV hospitals and churches. He stressed that the cost of the water was dependent primarily on its source, and explained to Members that the Vaal River was in this regard particularly expensive. There was a correlation between the increase in the tariffs and the decrease in mine revenues. Mr Johan Killian, CFO: LWB, concluded the presentation by describing the entity’s job creation capacity. During the course of the present year, 15 permanent employees and 120 temporary workers had been hired. Mr Cyril Gamede, CEO: Umgeni Water Board (UWB), described the extent to which his organisation was currently threatened by droughts. He then praised the APP’s alignment with the NDP, and the considerable improvement it had achieved in making water accessible to the communities. However, his organisation was currently seeking greater cooperation with the different municipalities of Kwazulu-Natal. With regard to UWB’s active promotion of black businesses, the CEO indicated that a minimum of 35% of black participants was a non-negotiable criterion for every sub-contractor with which it developed partnerships. Mr Gamede summarised the entity’s core indicators and said that 39 indicators were required for the Shareholder Compact (SHC) for 2015/16. However, the time allocated to the presentation by the Chairperson prevented him from proving additional details on these indicators and assessment mechanisms. The CEO then mentioned the agency’s four core strategic goals, which included the development of strategic partnerships, enhancing customer support, visibility and service delivery. An improvement in funding collaborations and the removal of system constraints through innovative thinking were also categorised as strategic aims. The final goal pinpointed was the strengthening and development of quality human resources, infrastructure capacity and water resources sustainability, to support growth. Mr Johan Killian, CFO: UWB, said that the agency’s CAPEX would reach a total of R19.7 billion for 2016 — an increase of nearly R2.5 billion from 2015’s business plan. With regard to the five-year CAPEX plan from 2015 to 2020, 42% of the investment would focus on developmental projects, particularly in rural areas. The entity still required R1.9 billion in order to complete its current programmes, following a general trend of profitability’s decrease as a result of the growing focus by UWB on previously disadvantaged communities. The organisation had already created 738 jobs of various natures in the course of the current financial year, and was targeting the creation of at least 600 jobs through CAPEX programmes in the forthcoming year. Mr Clint Stewart, COO at Overberg Water CMA (OWCMA) began his presentation by indicating that the entity was still in a transition phase, as it had changed its board in 2013. The work undertaken was thus still in progress, while the Department was highly supportive of the Agency’s initiative. He described one of the entity’s shortcomings as the lack of focus on sanitation, for it focused more extensively on water. He said the core strategic objectives of the institution were the enhancement of stakeholder relationships, the stimulation of business growth, the excellence of management and the reliability of quality service delivery. The current audit findings were unqualified, while the quality of the water processed by the agency was matching the standards in place. One of the main strategic focuses of the entity, and a core feature of its transition phase, was the establishment of satellite offices. Mr Stewart expressed his concerns over the entity’s potential failure to meet its volume targets in the future. He emphasised in this regard the increase of capital requirements for the next five years, cumulatively amounting to R125.7m. The COO concluded by highlighting the sharp increase in the number of job created by the entity. It had hired six new employees in 2014/15, while it estimated an expansion to 15 additional employees for the coming financial year. The Chairperson thanked every entity present at the Committee meeting for their different submissions and presentations. He indicated that it was not possible to discuss the presentations in depth. Although some of the presentations may have sounded greatly similar in their content, they had actually differed. These different organisations were, however, driven by a common goal -- the delivery of water to the people of South Africa. Mr Basson asked for additional details with regards to the Bloem Water Board’s bucket eradication programme, and expressed his great surprise at the very high cost of toilets stated by the entity. Ms Bilankulu directed criticisms towards AWB’s APP, arguing that Mr Makibinyane’s presentation had sounded way too personal and had omitted to display the teamwork underlying the entity’s programmes. She enquired about the nature of its highly uneven gender equity in jobs created by the entity. She criticised Bloem Water Board and Dr Moorosi for suggesting that the entity had answers to all the problems it faced. She expressed her satisfaction at the quality of LWB’s strategic objectives. However, she asked for greater details on the school programmes that were referred to during the presentation, asking how the selection process was taking place. She also focused on the people who did not have access to water yet, and enquired as to when this failure of service delivery would be overcome. The Chairperson referred to the matter of theft and vandalism, and said that the DWS had claimed to have developed an action plan to address this major issue. He asked why the entities had not been included in this new strategic approach by the Department. Ms Tshwete replied that the DWS had developed an integrated and inclusive plan to fight vandalism, and had including the Police in the matter. She stressed that the DWS, by its very nature, was generating mostly short-term jobs, notably in the construction sector, and only required few full-time positions. The new budget would be voted on May 21, thus enabling the entities to perform the necessary modifications to their budget structures and to reprioritise certain aspects of their programmes. She concluded her intervention by reminding Members of the core importance of these entities for South African society. The broad majority of the DWS agencies were performing well, although their performances were being hindered by poor work from municipalities. Mr Makibinyane said that the Amatola Water Board had undertaken a strategic session on 28 January, and had drafted a strategic plan. He had presented this APP with the full support of Amatola’s board members. However, he apologised for his behaviour and his attitude. He conceded that he may have been excessively excited, and stated that he had become CEO only three months ago. Mr Takalani said that the SWB had been involved in correspondence with the municipalities it served. The entity’s agenda was shaped as a response to priorities put forth by the municipalities. It still had the capacity to provide water for 55 villages, but the majority of the infrastructure in use had long exceeded its life span, often by three decades. The degraded condition of these structures resulted in high wastage, as they could not even be fixed anymore and therefore required total and costly replacement. Mr Takalani claimed that the SWB was currently refurbishing 807 water holes for local communities. He also referred to the development of a 15km pipeline, which ought to begin soon. Dr Moorosi indicated that the toilets bought by Bloem Water cost approximately R30 000 per unit. However, the Treasury had emphasised that the bucket eradication programme funds should not be given to the entities. 15 978 of these toilets had been purchased, but only about 7 000 of them were currently capable of being flushed. She said that the entity was currently awaiting bulk infrastructure to enable the remaining toilets to be flushed. With regard to vandalism she said that measures had been taken to employ individuals providing greater protection to infrastructure. People hired in this regard were often from the local communities. Since the implementation of the programme, infrastructure had not been vandalised in the area. Ms Maluleke emphasised that, with regard to sanitation, communities should also be made aware of the functioning of the new infrastructure from which they would benefit. The Chairperson strongly argued that the price of the toilets had to be taken up seriously. He said that such overpricing had to be eating away at the entity’s finances. Mr Singh asserted that every question and suggestion expressed today had been noted by the DWS officials present at the meeting. He said that the Department had to comply with the norms and standards of sanitation in place, and had thus invested in more modern and costly technologies. He thanked entities’ delegations and Committee Members for their constructive inputs and relevant insights in the discussion. The Chairperson reminded officials that no one was perfect, and that error was inherent in human work. Department officials, as well as Members, were learning from each other on a daily basis. He emphasised the short-term nature of Members’ role, highlighting the five-year duration of their contract. He thanked every individual present at the Committee meeting and expressed his hope that the present discussion would bear fruits by enhancing the effectiveness of the entities’ APP, thus strengthening and expanding the delivery of water to every South African.